The holiday of Passover and the Seder in particular remind us to be grateful and to give thanks for all we have. Our well-known tune Dayenu reminds us of all the times G-d helped us in amazing ways, and of how ungrateful we were, always demanding more. Passover is, therefore, our opportunity to make up for this by showing how grateful we were and still are, every step of the journey. On the night of the Seder the gates of the heavens are open, and we raise our glasses filled with wine and say L'chaim. On a personal level, this is when Ettie and I express thanks to our incredible family: yes, our Naples/ Marco Mishpacha for every step of this amazing journey. 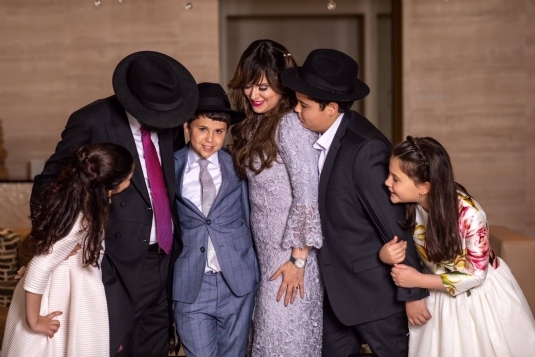 A mere 16 years ago we came to this beautiful place called Naples and today we have a growing and beautiful family, and we will spend the time at the Seder to go back and reflect on all the incredible angels who have given so much, who have been here for our community, for Chabad Naples and for us. We say thank you. Our sincere repeated thanks will never be enough. Passover is also the time when we are blessed with spiritual freedom to allow us to rise above and "Passover" the confusion and worry stemming from the challenges we face in daily life. This year, more so than other years perhaps, Passover comes just on time. Enjoy its rich traditions, observe it's sacred customs. It will afford you much needed energy of joy and liberation to savor year-round. As we commemorate our first journey home, from Eygpt to the land of Israel, we pray for our Holy Land Eretz Yisrael and its people, Am Yisrael, that for once and for all - they, all those who dwell in her borders and her neighbors beyond, be freed from the tyranny of terrorism striking fear in the hearts of its innocent, and may the land secure in its physical borders and its people secure in their spiritual purpose, be a light unto the nations. We pray for the children of the world, the tragically suffering children of Syria, the hunger-stricken of Africa, the refugees in Europe and beyond, and indeed all of G-d's children across the world, that they be endowed with a spirit of freedom from the oppression around them and be given the chance to live their lives in peace and dignity. Let us use this opportunity to tap in to our inner Moses, taking a step forward in our own lives, to live a more present, conscious, G-dly life; enriching our family experience, uplifting our social value, and expanding our communal contribution to make the world, immediately around us, and beyond, a holier and happier place. We ask Hashem that as we grow and the needs continue, the angels and continued miracles will flow together. We love you and L’chaim!!!! Good things certainly come in small packages, when you realize that Israel, one of the smallest countries in the world, could have become the fourth nation to land on the moon. Beresheet - aptly named ‘in the beginning - Genesis - ’ is unique. We’ve often been reminded that it is about the journey and not the destination, but in this case, both are astounding! Israel is only the fourth nation to ever attempt a lunar landing and we have so much to be proud of. Israeli innovation and intelligence continue to punch above its weight on an international scale in the most extraordinary way. Planning to complete the mission with the message, "Israel - Small Country, Big Dreams”, Beresheet was unable to land successfully. As we all waited eagerly to celebrate its success, our excitement turned to disappointment. However, in true Israeli style, they celebrated their success in orbiting the moon and vowed to try again. We hope and pray, coming just before Passover when we celebrate our freedom, the message of Beresheet is for mankind to strive for the beginning of a new, more loving and tolerant world. 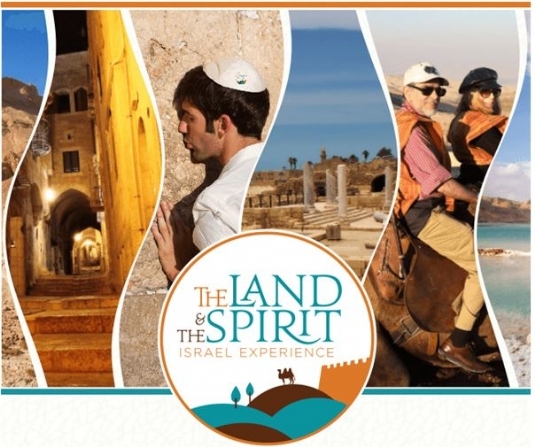 I am very pleased to announce that we have decided to join sister Chabad Centers from across the country and around the world and take part in the Jewish Learning Institute's Land and Spirit Israel Experience, next spring, March 15th-24th, 2020. 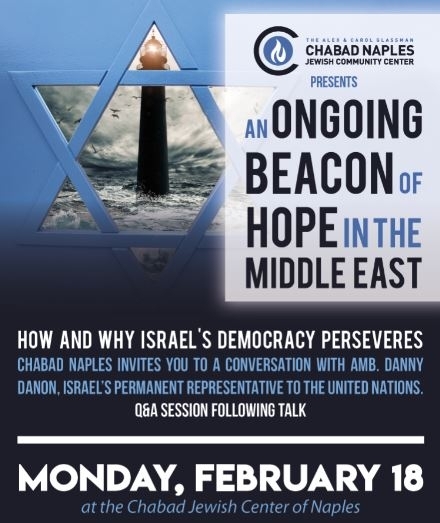 This is a great opportunity to see Israel as never before and I know you will want to be part of our delegation from Naples. I want to extend a personal invitation to join me and fellow members of our community on this trip of a lifetime. 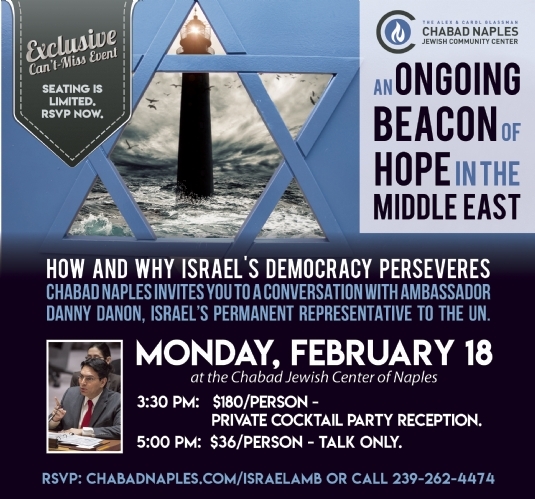 Please call me at 239-262-4474 or email rabbi@chabadnaples.com for more information. May the upcoming Pesach usher in true freedom - personally, communally and globally! "The honeymoon is over" - how often have we had that anticlimactic sensation when the excitement and romance of an event have passed, and we are faced with the daily nitty gritty and often, at first glance, monotonous incidents in life. So it is in the Torah: after the thrilling pomp and circumstance of the revelation at Mount Sinai, we settle in to the often tedious, day-to-day events. The reality of life is, we are not always surrounded by a brass band and a party-like atmosphere. We may have our time under the chuppah to dream and marvel at the promise of true and everlasting love only to wake up to the eye-opening reality of “ Who left the cap off the toothpaste” and living in close quarters with another individual and perhaps realizing how little we really know about his or her personality or character. That’s when we set the honeymoon aside as a lovely memory and get down to the joyous laws for daily life. Judaism is about how we live each day. It’s not just our actions in coming to a synagogue and how we act there, it’s how we live daily. Most people have the capacity to spend a few hours weekly ‘walking the walk and talking the talk’, but how do they behave the rest of the time? It may surprise you to know that Judaism was never meant to be centered around the synagogue, it is a guide to how we behave at home, how we treat our spouse, family and friends, how we treat the poor and how we seek justice in all areas. This is why immediately following the honeymoon at Mount Sinai, we needed to address our daily lives with Mitzvot, because this is where the magic happens. 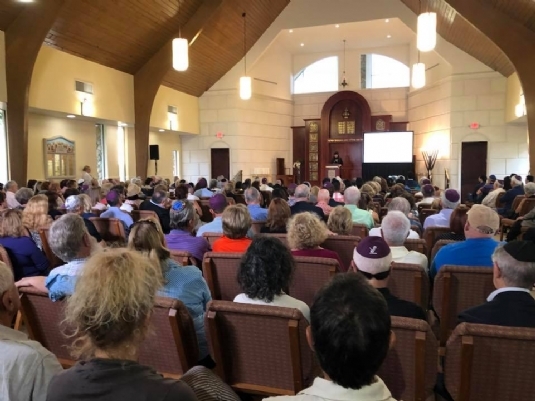 Oh we do need the synagogue, trust me on this, along with and in addition to our daily behavior, because it gives us inspiration and empowers us to carry through with our resolutions. We hear from so many people who attend that joining us on Shabbat and throughout the year boosts them to living life at the fullest. We are never alone, surrounded by extended family with similar goals and feelings for Israel. As we meet with Ambassador Danny Danon tomorrow, Monday, February 18th, we show our support for Israel, built by people who sacrifice on a daily basis so that all of us have a homeland. Part of ‘walking the walk’ is offering our daily strength and support for events like this. Will it be the Patriots or the Rams? As we welcome Shabbos, I want to wish a very special L’chaim to my dear wife Ettie, who is spending this Shabbos in New York together with our daughters Chaya and Hinda. This weekend is the International Convention for Chabad Women Leaders, and Ettie is getting the rare opportunity to gather with 3,000 of her peers from all over the world for a weekend of inspiration and growth. 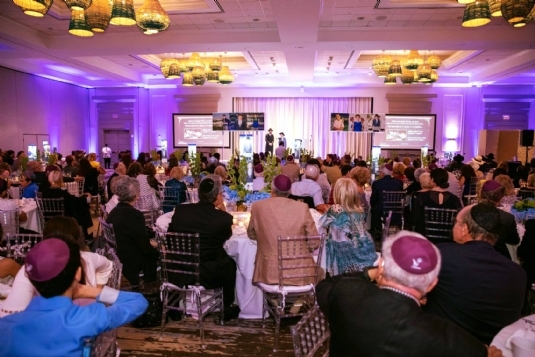 For the last 30 years the conference has been held this week, because it coincides with the yahrtzeit of Rebbetzin Chaya Mushka Schneerson, wife of the Lubavitcher Rebbe, of righteous memory. This coming monday, the 22nd of Shevat marks the 31st Yartzeit of Rebbetzin Chaya Mushka, the beloved and saintly wife of the Rebbe. She stood by his side for over 60 years, as he took the helm of the Chabad movement and transformed the world. Living in an ever changing world where ideals and beliefs change as quickly as the passing time, the Rebbetzin in her unassuming yet profound way taught us that we can each make a difference in our own way, and that we can all partner is the Rebbe's mission of uncovering the Garden that is withing this world as we know it. The common saying that “behind every successful man is a woman” is not true in our case, as Ettie and I have proudly worked side by side for the past 15 years co-directing Chabad of Naples together as partners. It is with pride that I get to watch as my daughters join their incredible mother and learn from her inspiring leadership. L’chaim Ettie! L’chaim for everything you do for our Chabad of Naples and for bringing so much joy and love into our community and our home. I hope you enjoy this very special Shabbos and are able to reflect and rejuvenate for another year of growth and leadership. 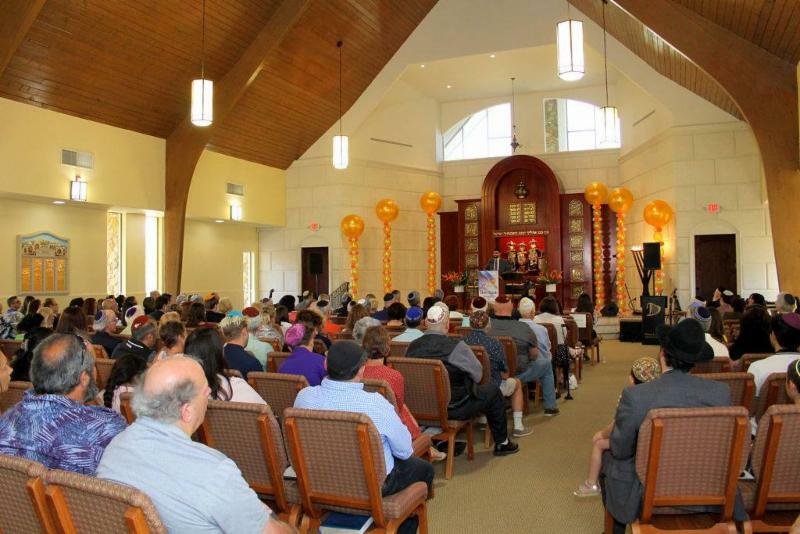 I look forward to seeing you in Shul tomorrow – your home away from home! Oftentimes the little things are really big things. How do strangers become friends? First of all, they gain our trust and make our lives just a little bit brighter and better. My new friend James did that quickly. 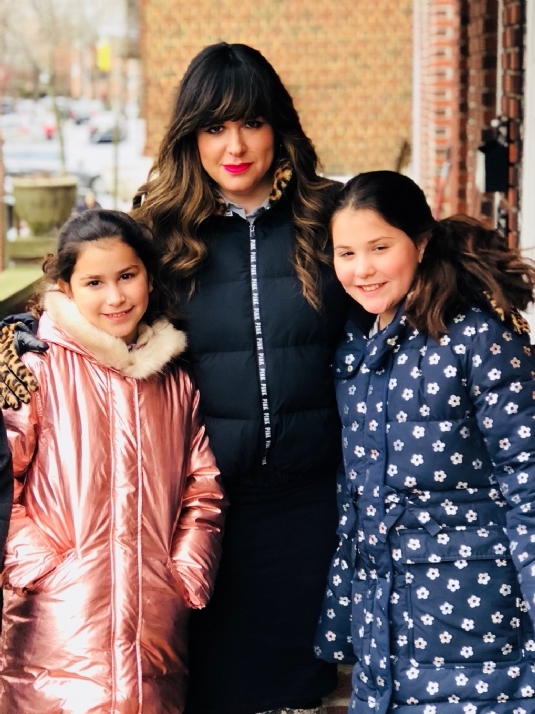 During the week, I took Chaya and Hinda to participate in the children’s program of the Chabad Women’s Conference in New York. It’s an amazing experience for them where they can interact with children of Chabad rabbis and rebbitzins from all over the world. In the freezing cold weather, I thought I had placed my phone in my overcoat pocket, but when I looked for it later, I could not find it. After searching high and low with no success, my last ditch effort was to call the number. How surprised I was that a very polite gentleman answered as if he had been waiting for my call, and in spite of my protests, he insisted on bringing the phone to me in the frigid cold weather. So grateful to my new friend James for his kindness and for being such a gentleman.This act of thoughtfulness by a real mensch can make a day brighter and restore our joy in the goodness and pleasure of human kindness. Seeing all the powerful leadership in the women at the Chabad conference lent an incredible warmth to the freezing weather. It was special to have been there, and it is special to be back home! I appreciate being back in Naples to enjoy a somewhat warmer climate and to be with the entire Naples family on the weekend! I look forward to seeing you in Shul – your home away from home! By now you have had the opportunity to test-drive some of your resolutions for the New Year. How are they working for you? Hey, we are only human, and although we may have the best intentions, we all know what can happen as time goes on. Our success depends on how truly committed we are to make changes, and if the changes we attempt are realistically within our capabilities. While self-care is certainly part of creating a wholesome life, a New Year is complete when we also commit to focusing on spiritual betterment such as G-d’s desires and others’ needs. A new year becomes hollow if it’s only about resolutions involving the self (think articles on “top resolutions for this new year”— joining a gym, starting a diet, saving money). A new year becomes full and meaningful when it’s about first acknowledging the centrality of God in our lives and the importance of inviting Him in. Against that backdrop of existential reflection, our resolutions will naturally reflect our desire to strengthen our relationship with God and increase the meaning and purpose in our lives. Certainly these should involve self-care, because we need a strong body and sense of well-being to have the strength to do for others- if I am not for myself, the book of Ethics teaches us, who will be for me? And if I am not there for myself—who will then be there for others? But our resolutions should also include committing to certain acts: calling a relative we don’t particularly like (it’s easy to talk about social justice but it’s truly actualized when we remember our own family members, including the ones who are hard to talk to); giving tzedakah regularly (this can mean having a charity box on our kitchen window sill and dropping in a few coins before dinner, remembering those who have less, and showing our children how to- in my mentor the Rebbe’s words- “train the hand to give”); and attending a Torah class (we can’t care about ideas that we don’t quite know…and this is especially accessible to us with our dear cyber friends Rabbi YouTube and Rabbi Google, all over the world-wide web). The reason we so often fail to stay the course in our resolutions is that oftentimes, we’re fighting a battle we’re not strong enough to win- we bite off more than we can chew. But smaller, more doable habits slip right under this resistance. They’re too small to resist. We see this when it comes to material commitments- do you know anyone who went from walking zero miles to five miles a day that still does that a year later? Someone who wanted to get their finances in order that had a paradigm shift in five minutes? But you likely know someone who increased in their exercise gradually and continues to exercise each day, or another who charted a new financial course with a lot of contemplation and care and small changes at first that led to a bigger transformation. Spiritual commitments are no different- volunteering once a month at your favorite charity; a ready smile for the mailman; dropping those two coins into the charity box once a day; making the decision to begin each morning with gratitude for simply waking up…taken day by day, these small acts generate momentum and ultimately, reprogram our subconscious. So how can we practically start implementing? By embracing one bite-sized mitzvah that can realistically stick. Allowing our essential oneness with G-d to glow in our day-to-day small actions. We often underestimate the power of one mitzvah, of one commitment, of one change, of one move, of one gesture, of one act of love, kindness and holiness. We think it is all or nothing. But it was one loving interaction between Moses and G-d at the burning bush that completely impacted the Jewish future and all of humanity, and it can be one action today that can start an endless ripple effect of change. Once Moses made a commitment to the Jewish people, which began with his care and concern for single individuals, he ultimately was the messenger who delivered them all from a life of Egyptian slavery and despair. Once we make a commitment to one small resolution, we are ultimately the messengers and agents of even bigger change and redemption for our world. It is bound to happen, because goodness is contagious- people get inspired to do good when they see good. So where do we start? With one small, ultimately giant step. Shabbat Shalom! The Hebrew word for breath is Ruach. But Ruach also means “spirit”. This passage can be translated as "And they did not listen to Moses out of lack of spirit." In the history of Egypt not a single slave had ever escaped. How could an entire nation ever walk free? Moses was a dreamer, they thought. It is just not realistic to hold out such high hopes, only to have them dashed yet again. And so the people were utterly despondent and spiritless and, therefore, they could not hear, i.e. absorb, Moses’ message. It happens all too often. People become so set in their mediocrity that they give up hope of ever achieving the breakthrough. This is true for marriages, careers or our spiritual aspirations, we lose the desire to dream. The Torah is teaching us never to lose our ‘spirit’, our hopes, our dreams and resolve! Shabbat Shalom and have a great week ahead! 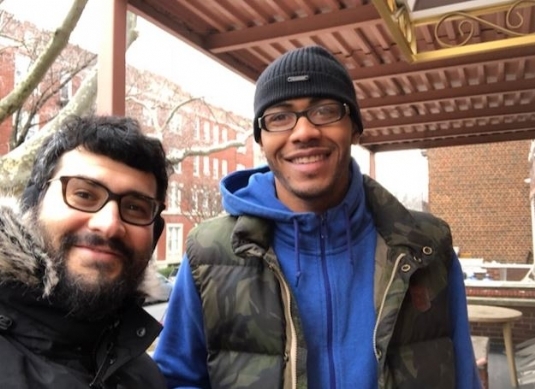 Without a doubt, Chanukah 2018 at Chabad was the biggest in both attendance and in successfully reaching out to and servicing every corner of the community. From the children to the seniors in assisted living and in homes, and beyond. We strove to bring light and blessings to the entire Naples area, and after Chanukah, our goal is no different; we will continue spreading Chabad's trademark warmth far and wide; may the light continue to shine. It is so appropriate that we read in this week's Torah portion how after 20 years of animosity, resentment and hurt, Joseph and his brothers finally reunite and Joseph forgives his brothers. It’s a powerful moment when Joseph reconciles and reassures his brothers that they didn't send him to Egypt; that ultimately, it is G-d Himself that sent him there to fulfill his unique mission as Egyptian viceroy and to bring blessings to the world. Now more than ever, in this fragmented world, we need this mindset! What's one big difference between kids and adults? It is well known that kids don't hold grudges; adults do. In a moment of anger, a child might say to Mom or Dad, "I hate you!” And then a few hours later, all anger and "hatred" is forgotten. Adults, on the other hand, hold grudges and refuse to talk to people for years, missing all kinds of once-in-a lifetime events, estranged from family members. Why? Seemingly it should be just the opposite, as kids are immature and adults are mature. The simple answer is because kids would rather be happy than right, while adults would rather be right than happy. Let's be kids(at least in that sense! :) Let's learn from the unity in the Chanukah story how beautiful it is when we are together! Why deprive ourselves of the love of someone close to us just because we want to be right? There is nothing to be gained from that! Forgive as Joseph forgave, let go, bring love, and share joy and happiness. P.S. This year we will once again be holding a "YEAR-END MIRACLE MATCH CAMPAIGN" - December 17-18. Stay tuned for details of this exciting opportunity to TRIPLE YOUR YEAR-END CONTRIBUTION! We are looking forward to seeing you at our HUGE Community Chanukah celebration, Tuesday, December 4, 5:00 PM at Cambier Park. The miracle of Chanukah is best celebrated when publicly shared by the Jewish community. Let's Celebrate our religious freedom today - together! This is a perfect opportunity to show your children a public Chanukah Menorah Lighting on the third night of Chanukah. This will be a truly great celebration for the entire community. Please join us and invite your friends and relatives. We have attached our flyer so that you may forward this email to your loved ones. On Chanukah we light the menorah specifically after it is dark outside. The point is to bring light to the darkest places of our lives. Instead of ignoring them, denying them or running away from them, we are tasked with changing them. The easiest way to transform darkness is to add light. On Chanukah we are given an extra does of light from above to make miracles happen and we are given an extra dose of courage to venture into those places of paralyzing darkness and fear. Let's all take advantage of the moment. Make sure your candle is lit. We want to personally wish each and every one of you a Chanukah and holiday season filled with friendship and traditions. May the warmth and glow of each candle make your heart and home happy and bright. We are so lucky to have you in our community! In this week’s Torah portion we read the story of Jacob's dream and the famous ladder with its feet on the ground and head in the heavens. "And behold the angels of G-d were ascending and descending on it." You might ask… do angels really need a ladder? We all know angels have “wings”, not feet. So why would they need a ladder? There is a beautiful message here. In climbing heavenward, one does not necessarily need wings, fancy leaps and bounds. There is a ladder, a spiritual route clearly mapped out for us to be traversed step-by-step, one rung at a time. The pathway to Heaven is gradual, methodical and eminently manageable. Many people are discouraged from even beginning a spiritual journey because they think it needs that huge leap of faith. They cannot see themselves reaching a degree of spiritual commitment which to them seems otherworldly. And yet, with the gradual step-by-step approach, one finds that the journey can be embarked upon and that the destination aspired to is not in outer space. A teacher once asked us the following question: "If two people are on a ladder, one at the top and one on the bottom, who is higher?" The class thought it was a pretty dumb question -- until our wise teacher explained that they were not really capable of judging who was higher or lower until they first ascertained in which direction each was headed. If the fellow on top was going down and the fellow on the bottom was going up, then conceptually, the one on the bottom was actually higher. And so, my friends, it doesn't really matter what your starting point is or where you are on the ladder of spiritual refinement and consciences. As long as you are moving in the right direction, as long as you are going up, you will, succeed in climbing the stairway to heaven. And from heavenly heights we see for sure that all that glitters is not gold. Eleven acts. Eleven flames of light. Eleven deeds. The overwhelming outpouring of love has been so touching and so meaningful. The inspiration actually began early this week, with discovering beautiful flowers in the Chabad lobby, and the random people who kept coming through the doors just to give a hug. Thank you to all who joined us Tuesday night for our Evening of Memoriam and Unity. It was all of YOU who came, from many different backgrounds, and sat together in solidarity that truly made this evening the Unity experience that it was. It was all of you, who committed to doing more goodness, to adding more light to our world to banish this darkness, that ensures that these victims will always be honored and in our hearts. 11 acts of kindness for the 11 victims lost- thank you all for making this powerful commitment, and to the many of you who e-mailed me personally the mitzvahs you are doing. In Psalm 133 it states, "How good and how pleasant it is for brethren to dwell together in unity." It is my heartfelt hope that we sit all together as one big family once again, at Chabad of Naples, very soon but for only joyous occasions. A beautiful outpouring of love from our Naples Mishpacha! 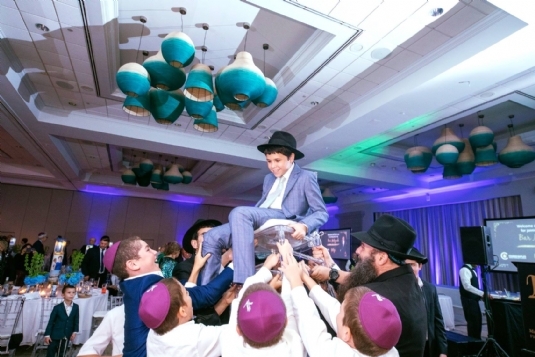 What a beautiful outpouring of love and friendship at our son Yitzi's bar mitzvah! It was so heartwarming to Ettie and me to see once again how the Chabad Naples community is family. And thank you for the tremendous feedback; it means so much to us when you celebrate with us in our joy- we look forward to reciprocating! There are so many levels to celebrating a Simcha. The Joy. The Nachas. The intense gladness of heart. Of course the heartfelt gratitude to Hashem and to so many. What truly makes a Simcha complete, is the fact that it can be shared - with family and friends. This is a precious gift that can not be overestimated. It takes the joy and the Nachas to an altogether higher degree. We are privileged that our families are dispersed around the world - literally - doing holy and special work. We are also privileged to have family geographically close. And we are equally privileged to have so many dear friends in our community. Friends that have become family - everyone of you close to our hearts. This is a milestone Simcha in our lives - the Bar Mitzvah of our dear son Yitzi. Our hearts' are simply bursting with joy. Thank you all for making our Simcha complete. In the Torah portion Yitzi will read this week, G-d told Abraham to leave his family and everything with which he was familiar and to make a fresh start. Fifteen years ago, we also stepped out of our comfort zone when we left everything and everyone behind in New York and came to Naples, Florida. 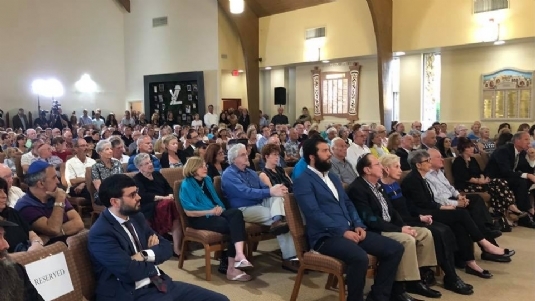 How fortunate we are and thank G-d every day that we came to be part of the most caring and loving Chabad Naples family, and that so many of you were able to join us for this landmark occasion. Many of you shared Yitzi’s birth 13 years ago, and now many of you have celebrated this important milestone in his life. It’s another beginning for Yitzi, as he proceeds with his studies and will continue to read from the Torah for us. May we, as a family, always share these wonderful simchas with each other.